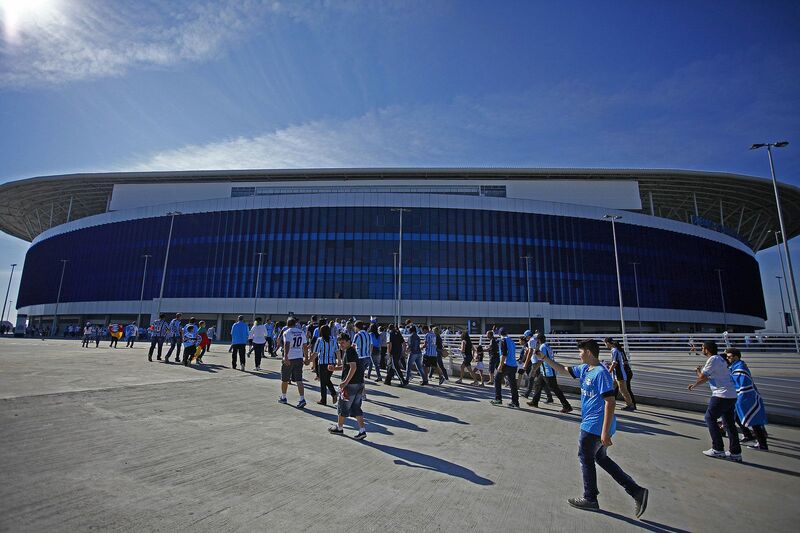 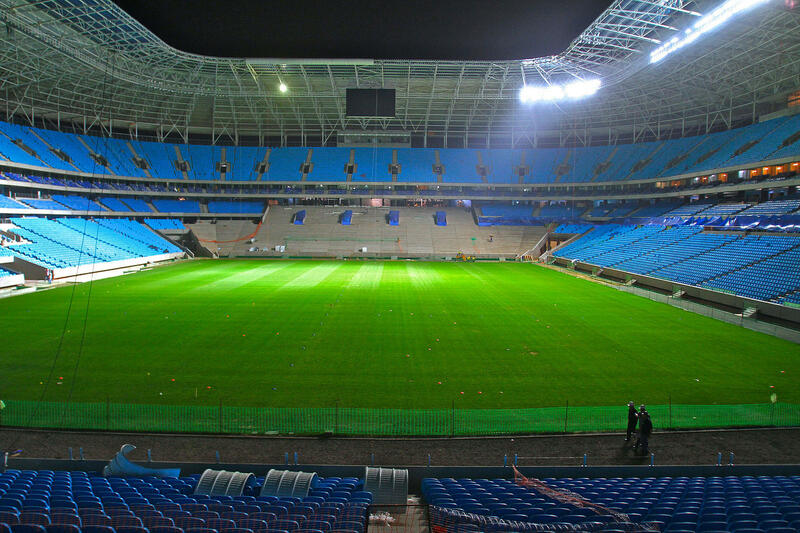 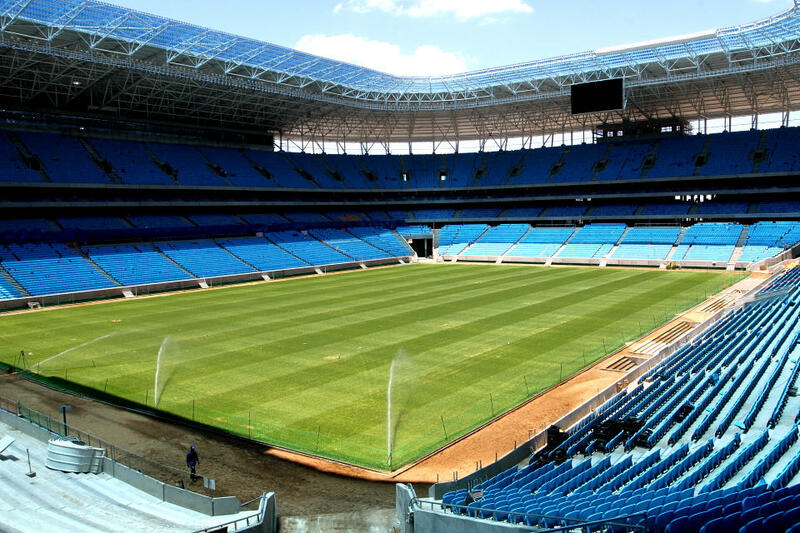 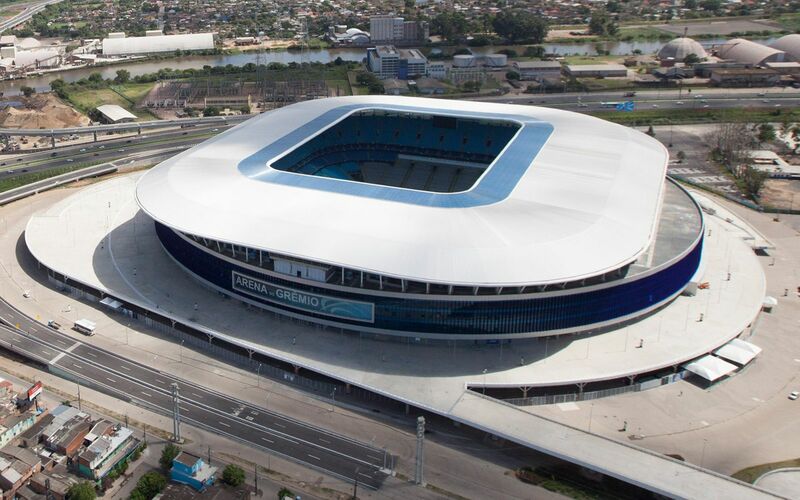 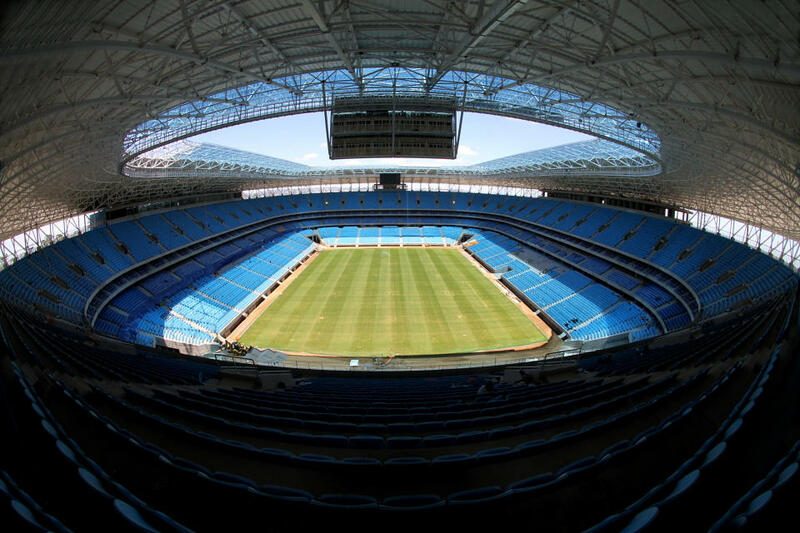 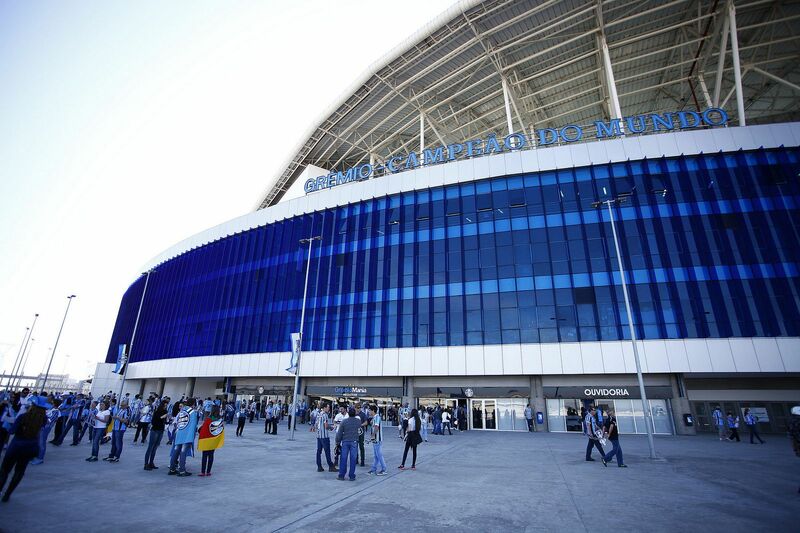 Grêmio's new stadium was first presented in 2009 as a conceptual design by Plarq Aruitetura from Sao Paulo. 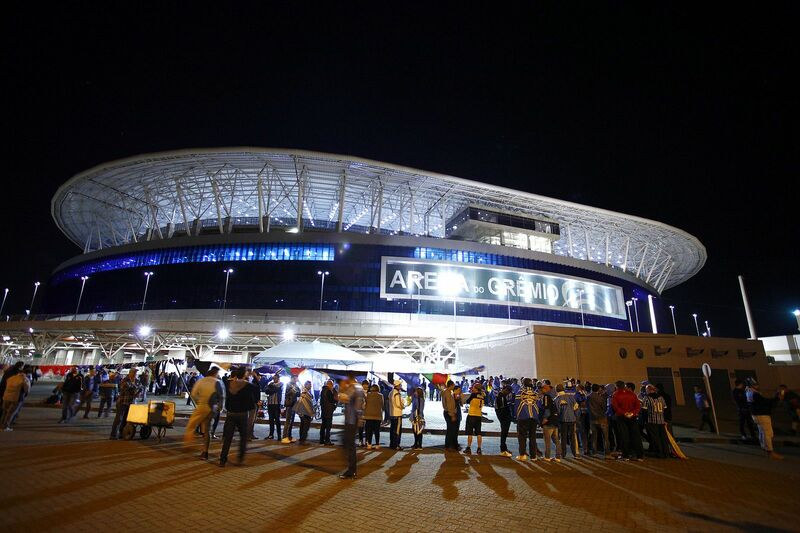 Construction – funded privately by the club – started in September 2010 and ended just over 2 years later, in November 2012. 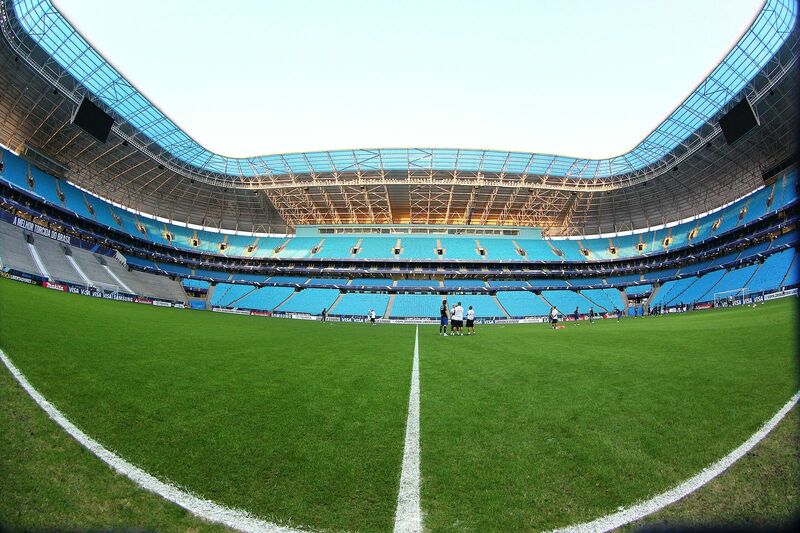 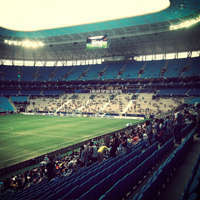 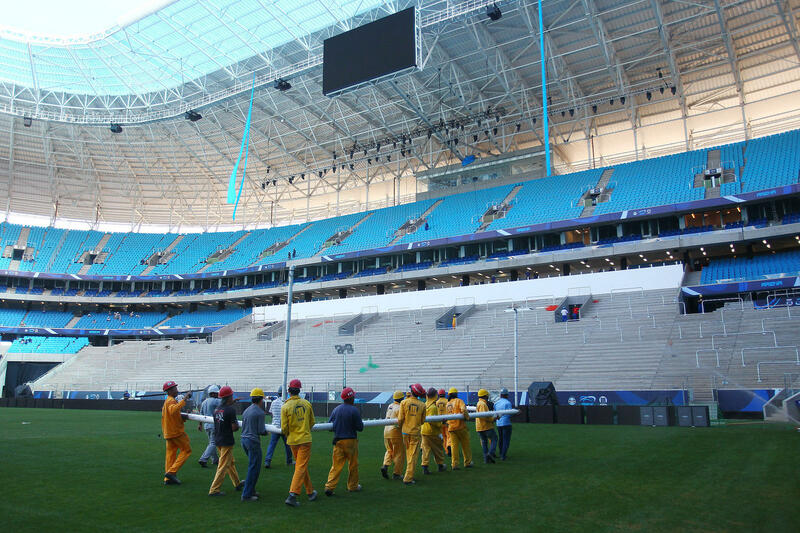 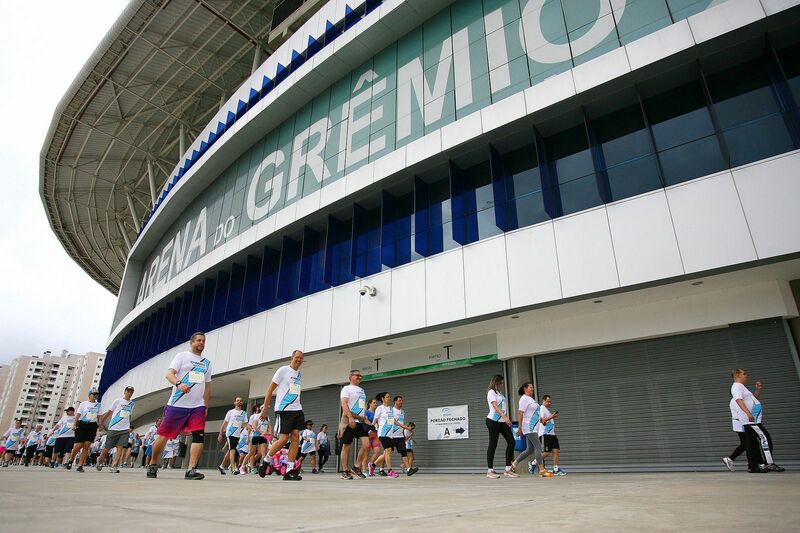 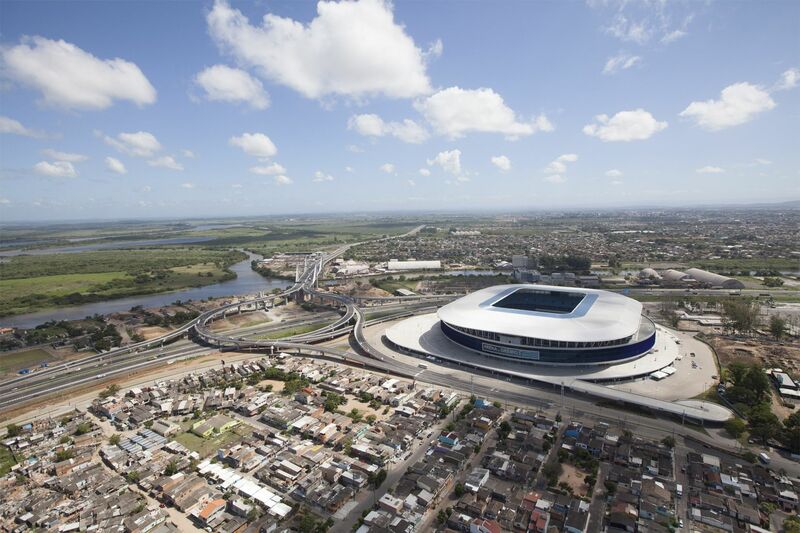 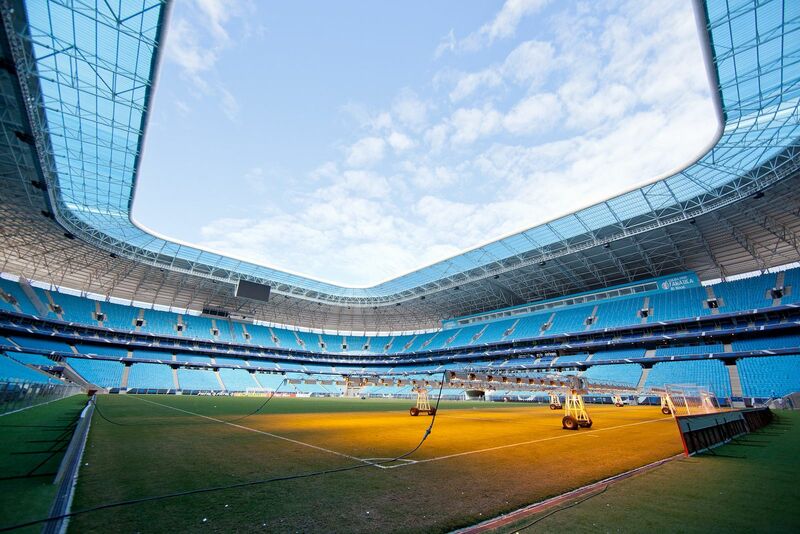 Both the time frame and budget of R$540m were not exceeded, making the stadium exemplary in Brazil. 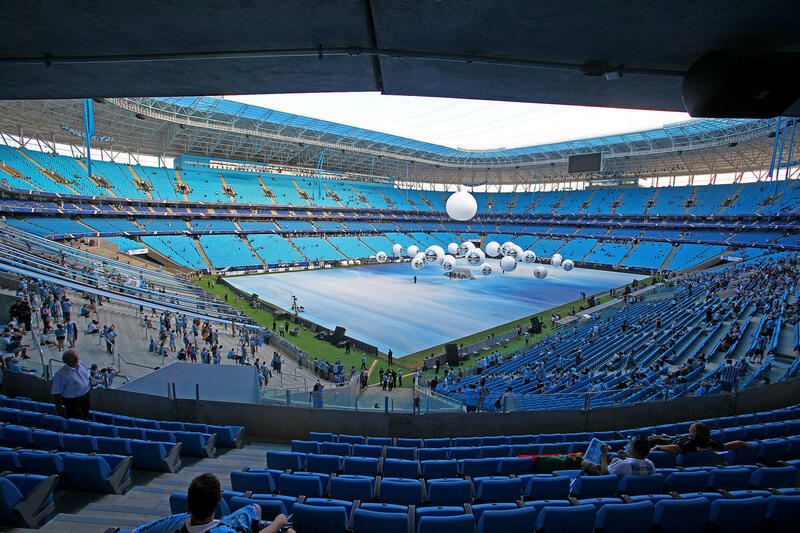 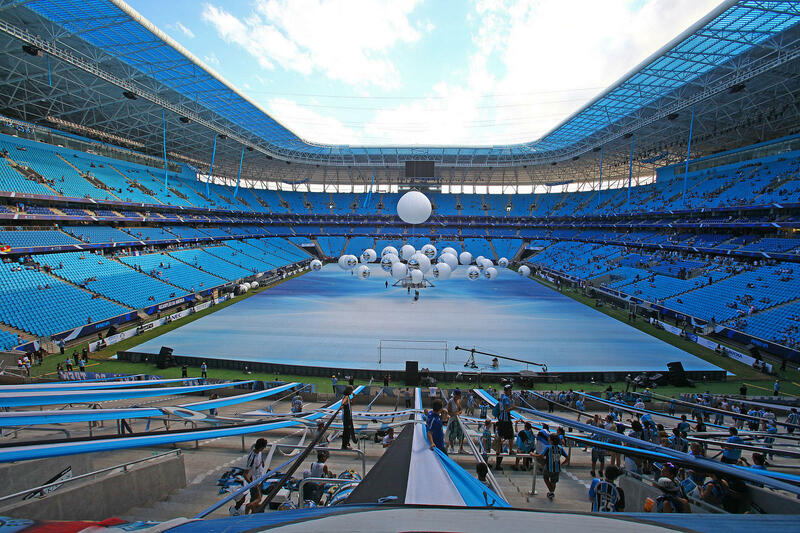 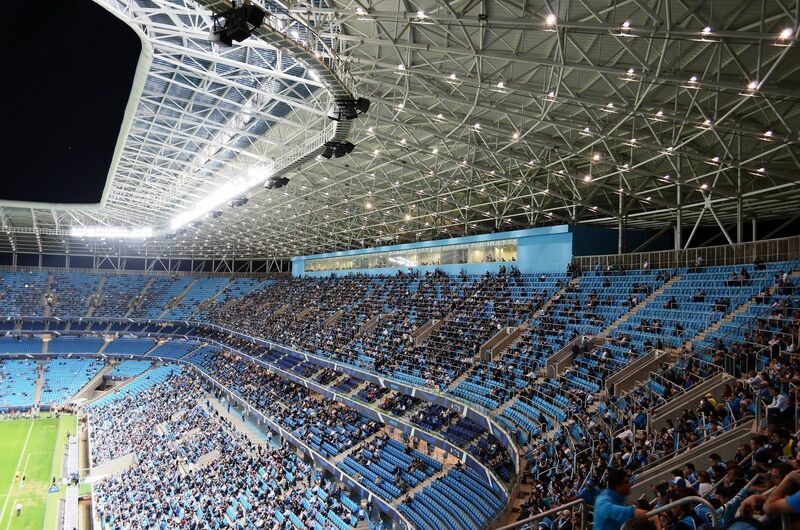 Arena covered almost entirely in blue/white/black elements from the club's crest offers room for 60,540 people with one stand devoted to fanatics from 'Geral' community who wished to have no seats. 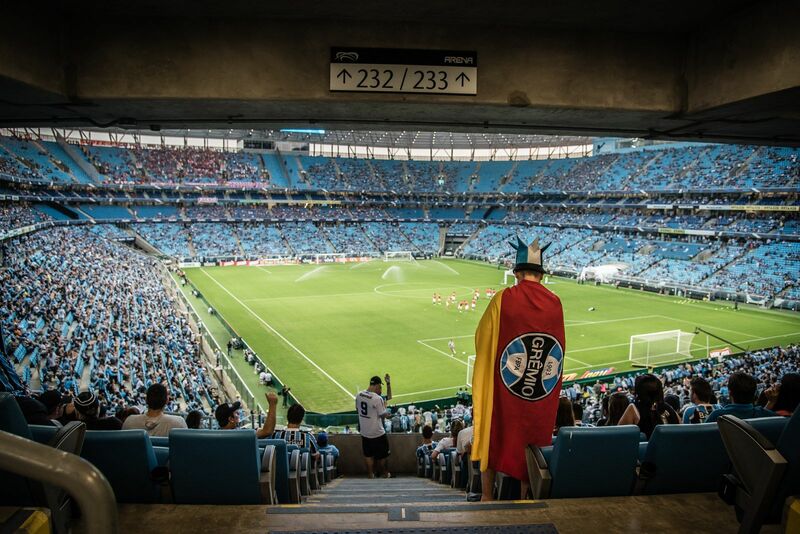 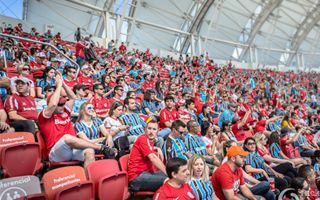 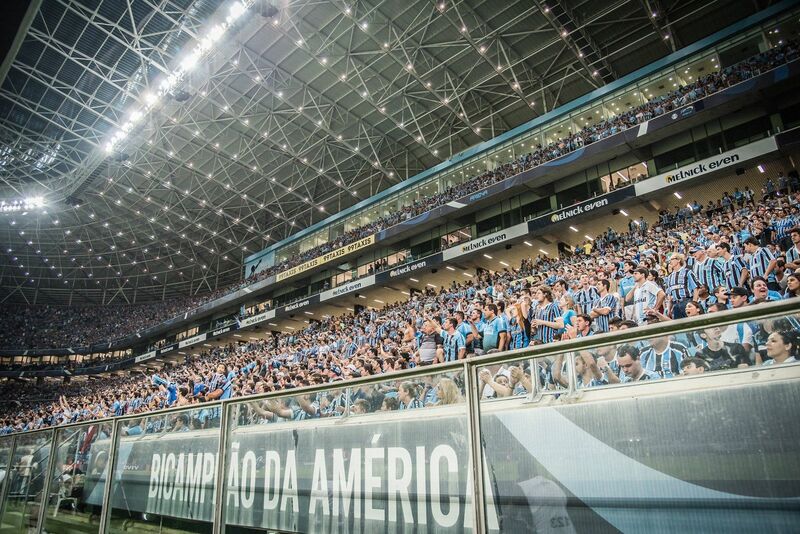 After special amendments the stand is able to withstand the crowd falling down – a behaviour characterising Grêmio fans after a goal is scored. 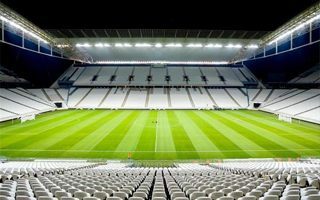 First game played was one against German HSV, commemorating previous encounter from 1983, when both clubs were continental champions. 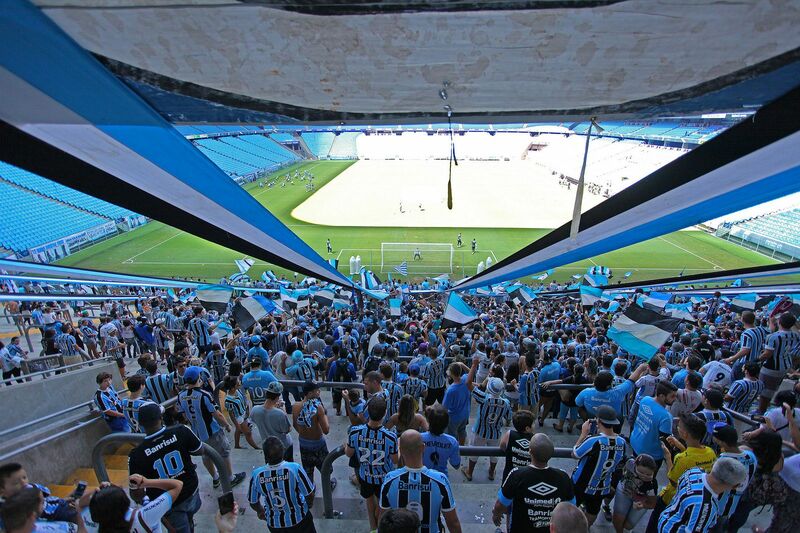 Can you imagine fans of antagonistic teams side by side? 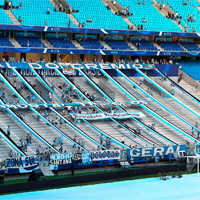 Boca and River, Partizan and Crvena Zvezda, Grêmio and International. 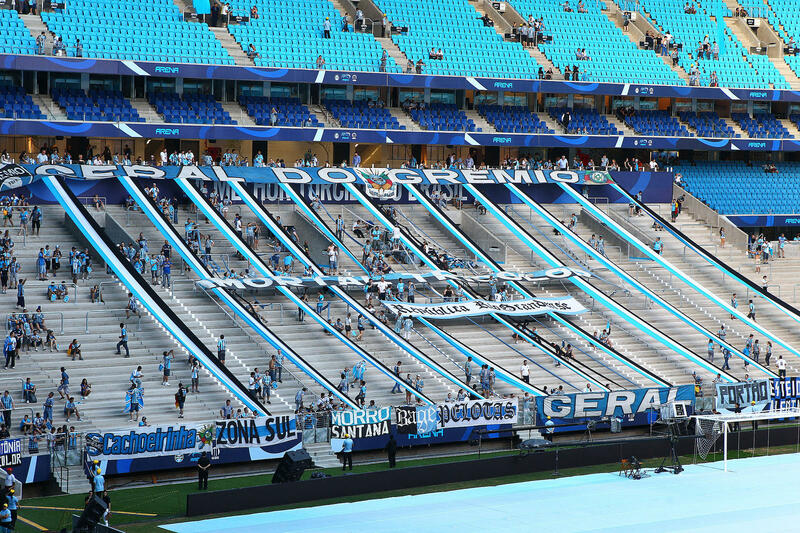 Well, in the last case you don’t have to, it’s already a fact. 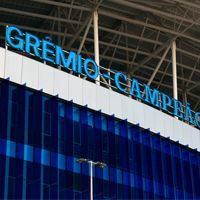 Before tonight's game against Santos Gremio supporters will welcome the famous sign celebrating world championship for the club from 1983. 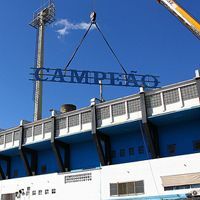 The sign was removed from old Olimpico Monumental and then restored. 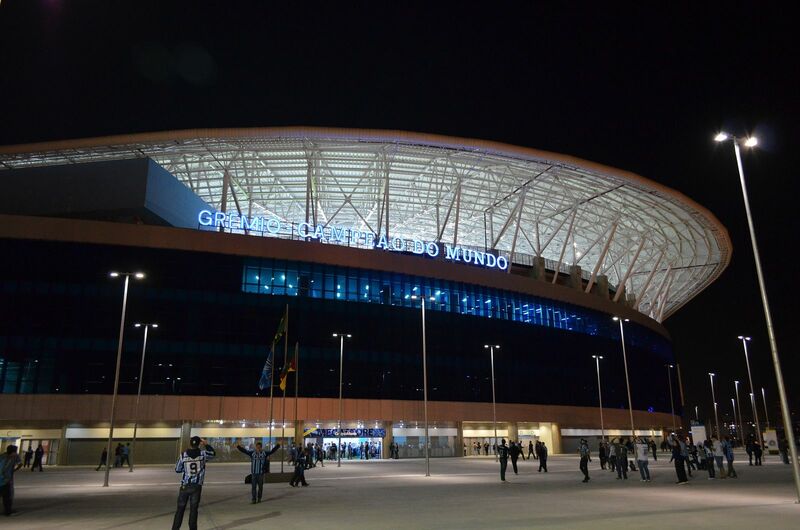 That’s quite a souvenir – giant sign claiming Grêmio are world champions, which stood atop the stadium for the last 30 years. 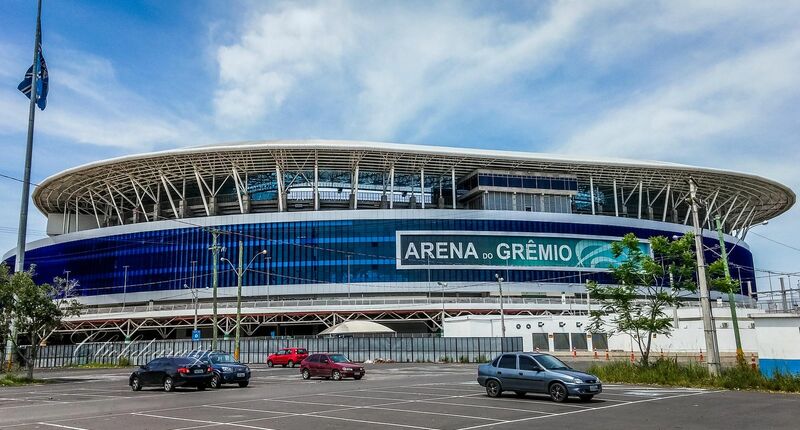 Soon the sign will be placed at the new stadium, adding more soul to it, while the old Olimpico Monumental awaits demolition. 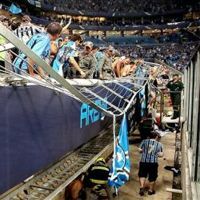 After almost three years the decision is here: the Geral terrace at new Arena do Grêmio will be opened again without installing seats. 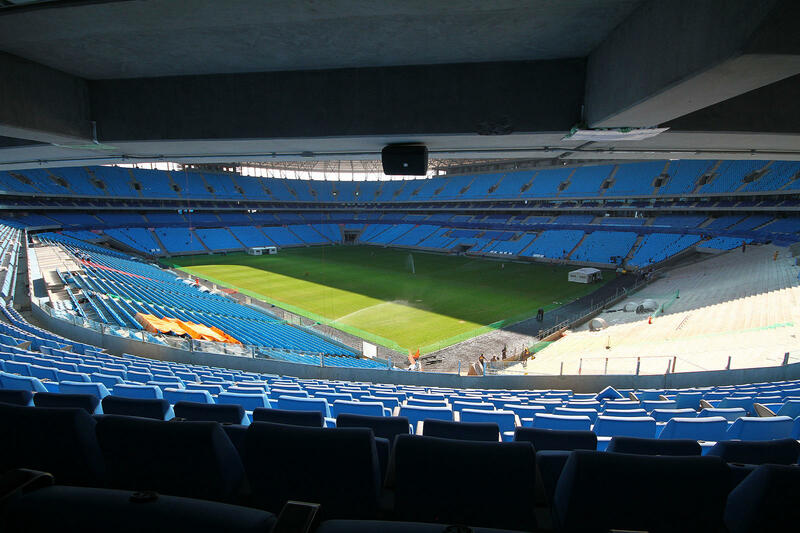 This will allow capacity to remain above 60,000, but the famous avalanche goal celebration is over for fans. 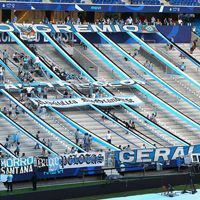 Or so it seems. 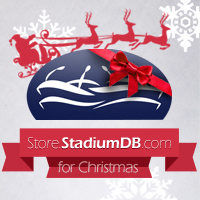 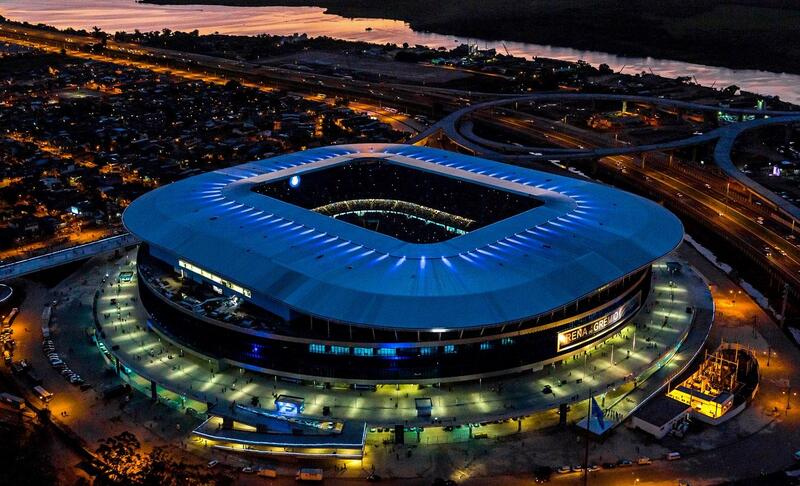 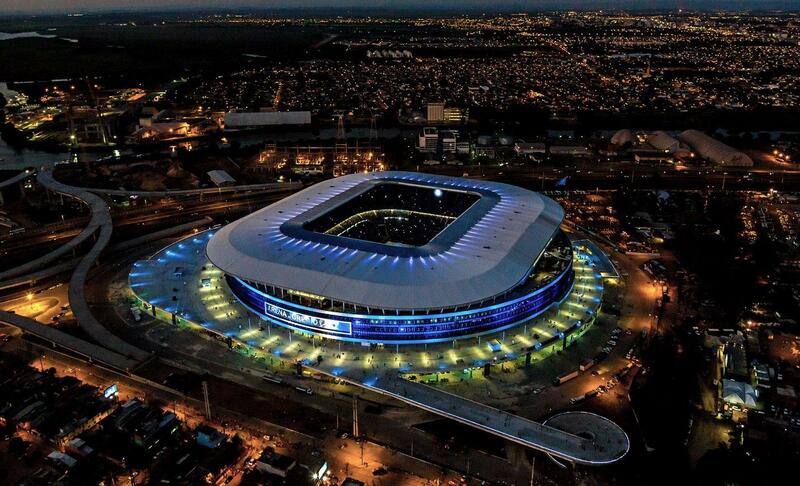 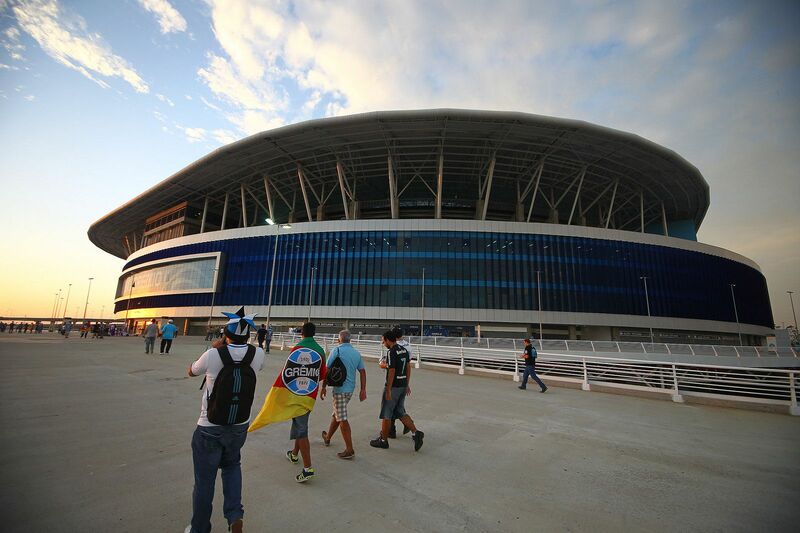 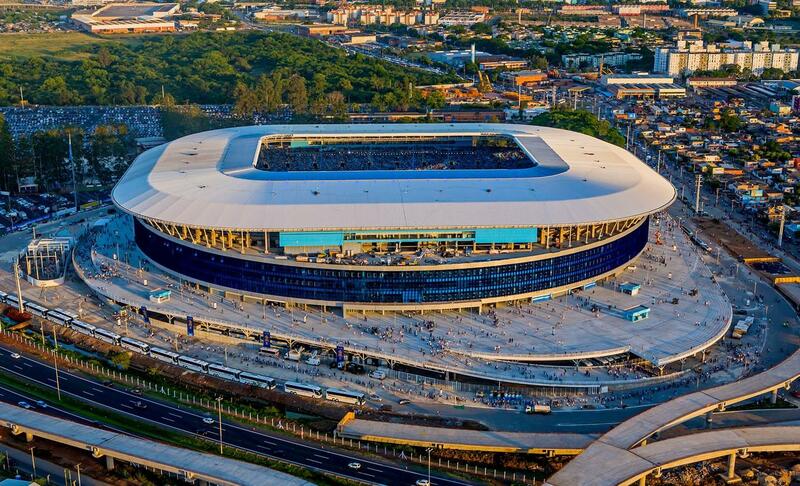 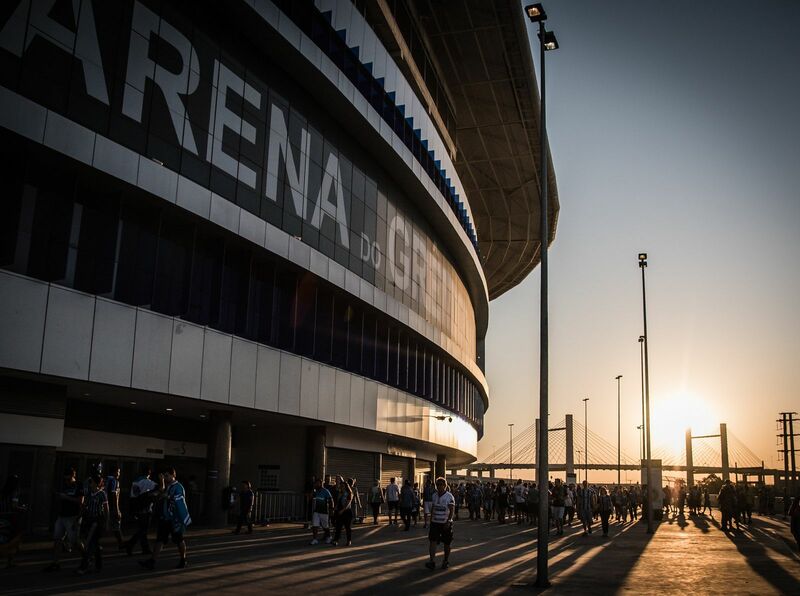 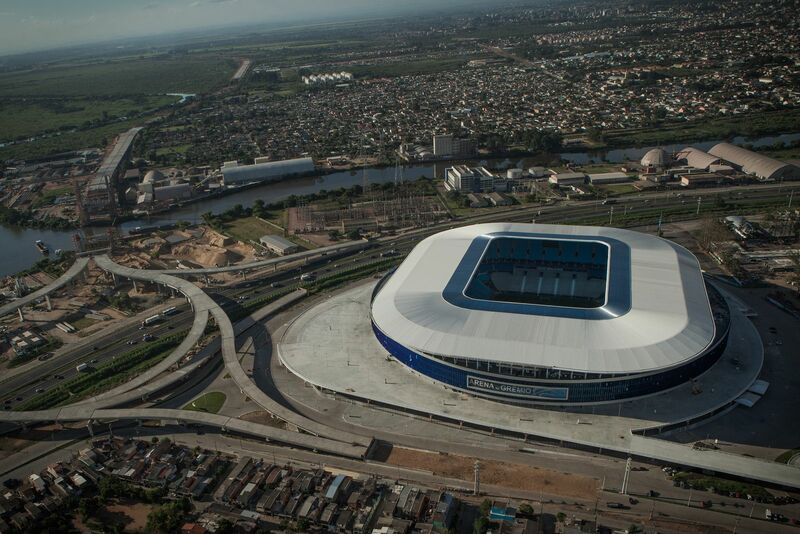 24.02.2013 Stadium of the Year 2012: Arena do Grêmio! 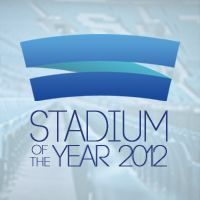 There could be only one winner and surprisingly to us this stadium took lead on the 2nd day of the vote and held it firmly until the very end. 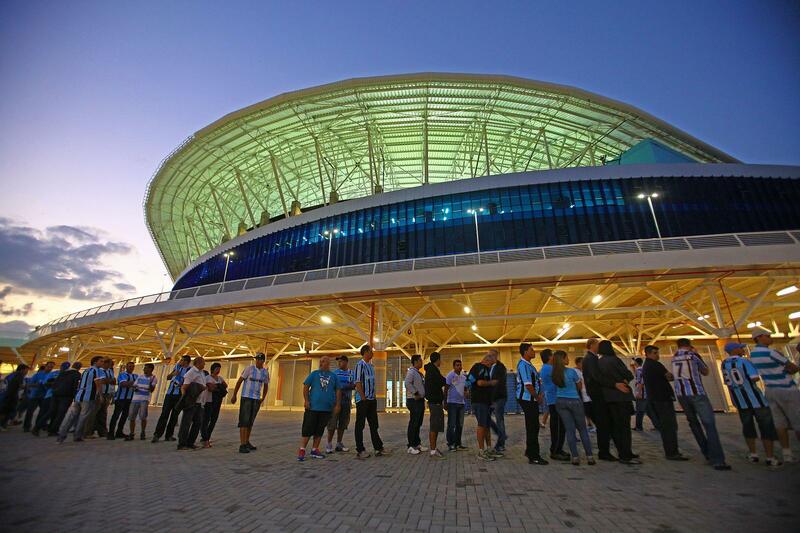 Massive support from Brazil played a great role, but other nationalities also regarded Porto Alegre’s new stadium very highly! 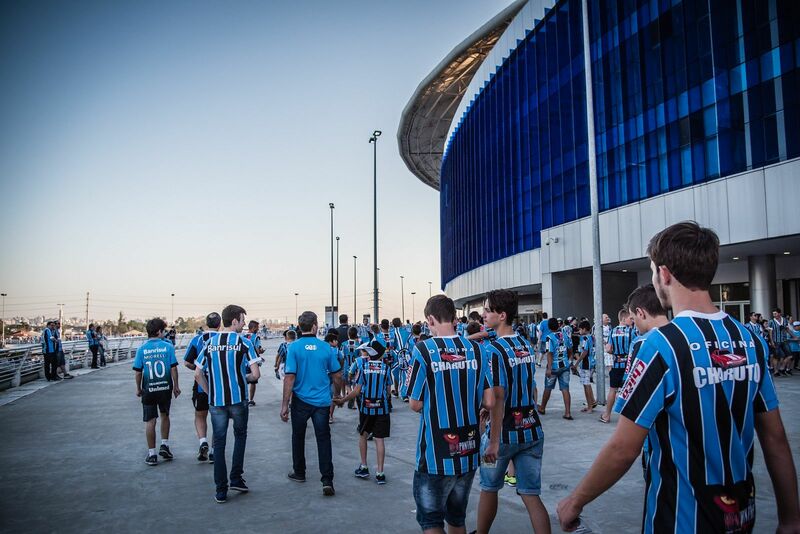 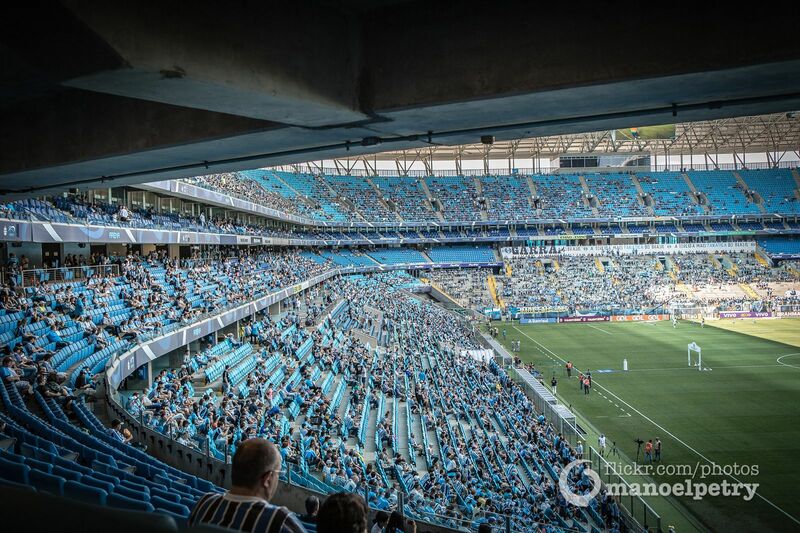 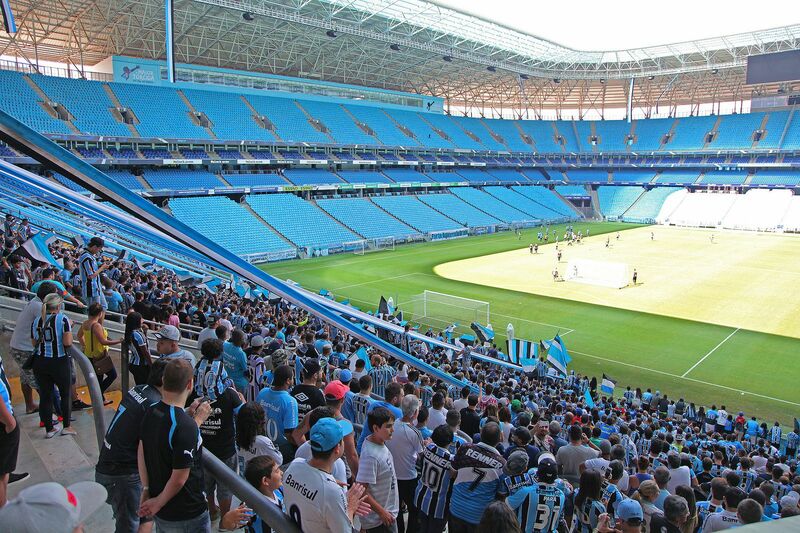 Grêmio won’t be able to let people into the standing section in their upcoming Copa Libertadores fixture. 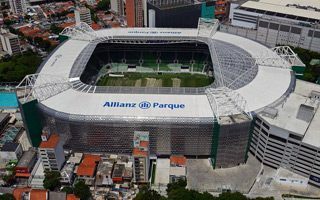 The club also has to pay a fine and will see the entire new arena closed, if any other accident happens within the next two years. 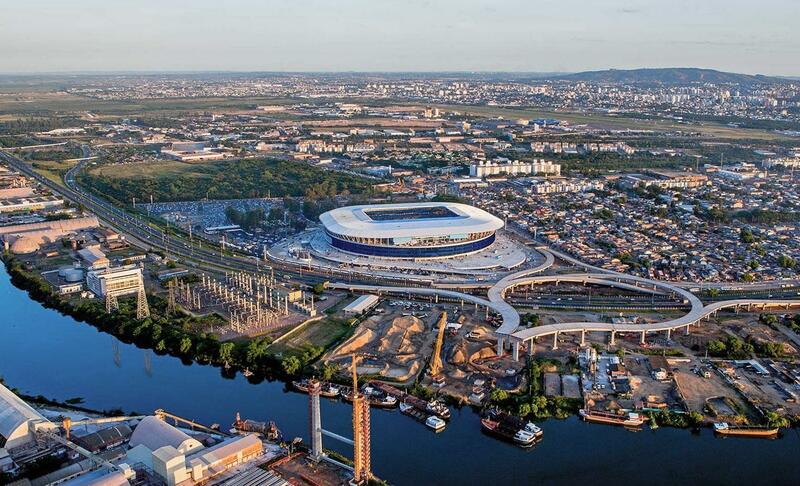 It combines modern infrastructure with traditions, commercialisation with resistance to this kind of approach. 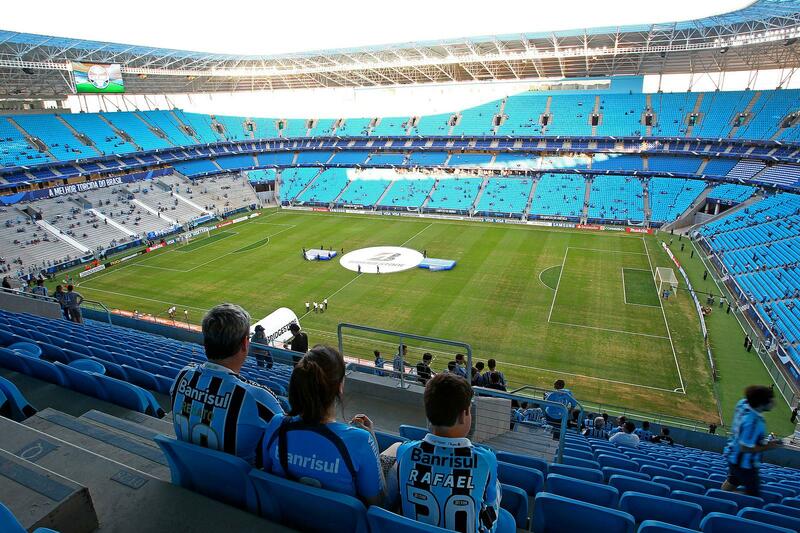 And the stadium already pays the price for these combinations as criticism thunders from media and authorities. 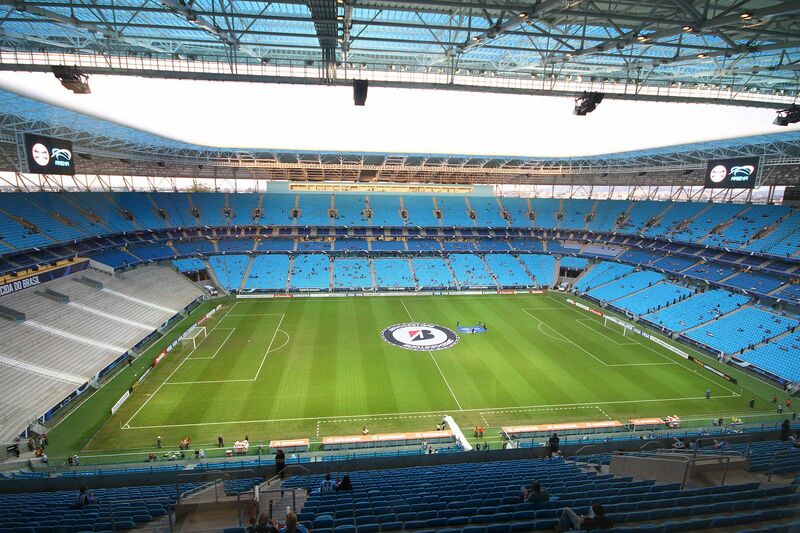 But hey, at least they searched for a compromise, a thing many clubs didn't bother to consider. 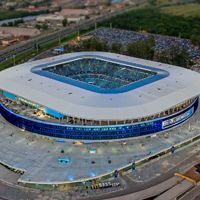 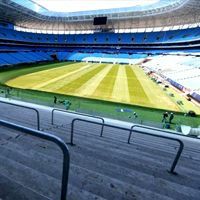 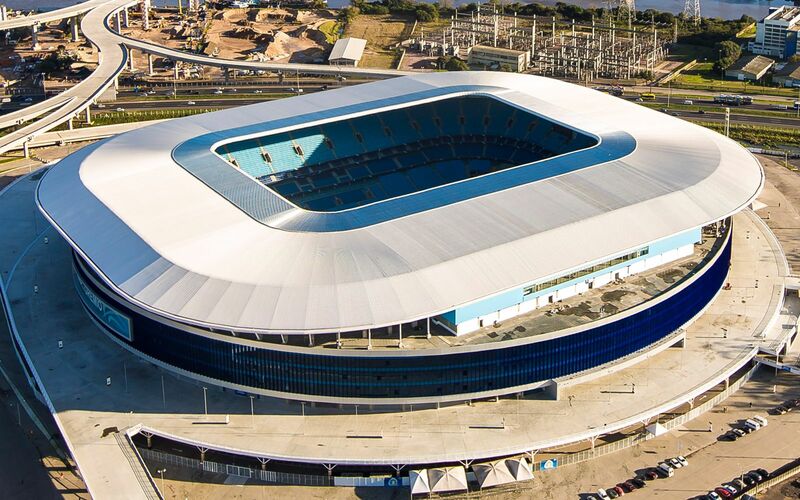 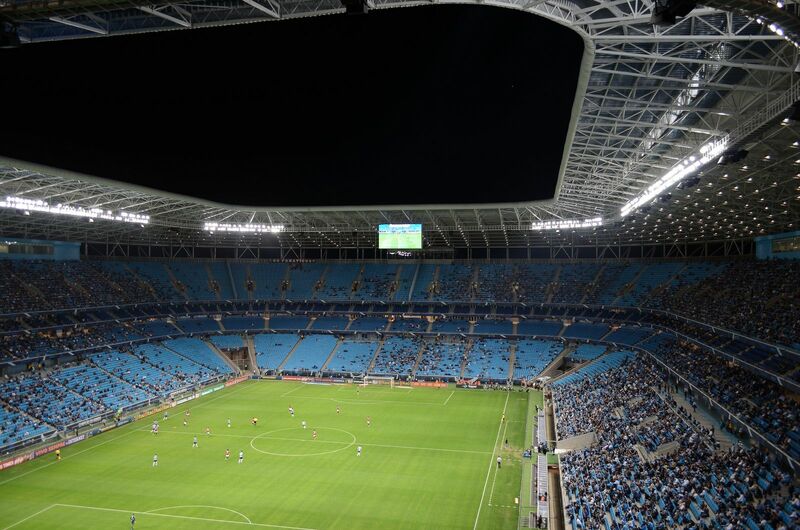 Arena do Grêmio isn't having the perfect opening run with last week's accident resulting in official investigation by CONMEBOL, South America's football federation.